An often overlooked category of historc buidings fits loosely under the term roadside architecture. These buildings were designed to fit needs of the 20th century automobile era and are consequently of more recent construction. 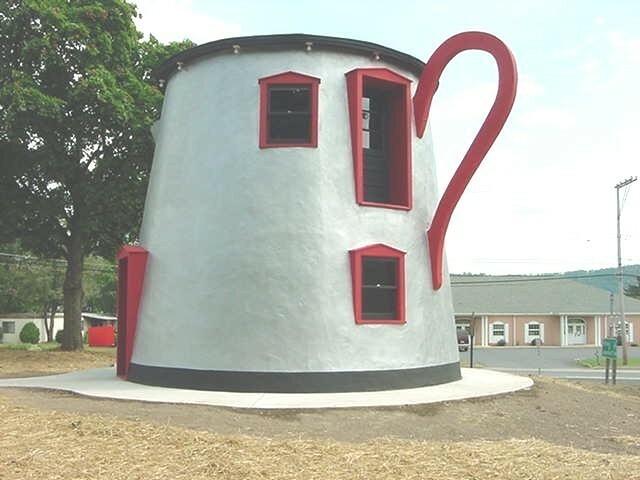 Roadside architecture includes novelty buildings like the Coffee Pot and the windmill designed Shoe Fly House restaurant both constructed along Route 30, the Lincoln Highway, America's first coast to coast highway. 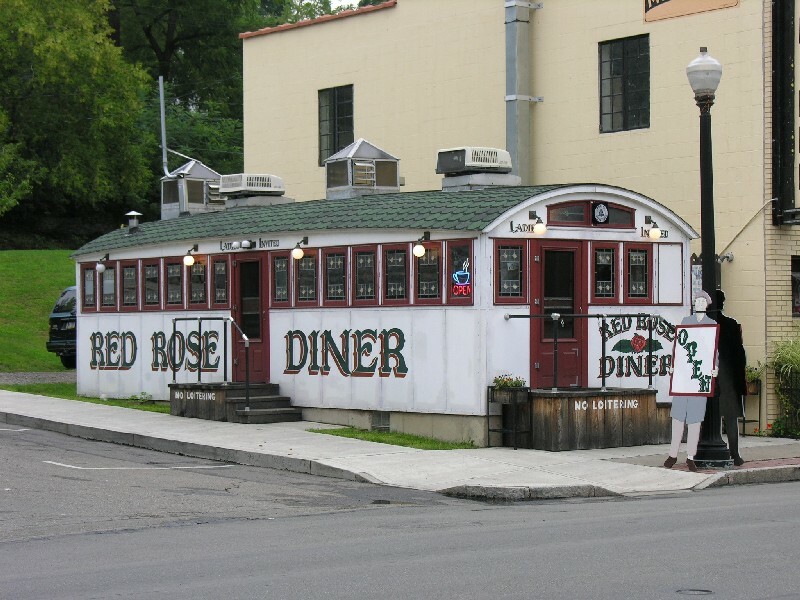 Roadside architecture includes other types of buildings to meet the needs of the early automobile age such as gas stations, restaurants, diners, campgrounds, hotels and motels made up of small guest cottages. Roadside architecture is not limited to Route 30, but developed all over the country as the use of cars made a new kind of development popular. Click the thumbnails for larger images. This is a static, archived version of the PHMC Pennsylvania Architectural Field Guide website which will not be updated. It is a snapshot of the website with minor modifications as it appeared on August 26, 2015.